The Skinny Pancake will open its 10th location next month with a restaurant in Quechee adjacent to Jake's Quechee Market at 7161 Woodstock Road. The 2,000-square-foot café, furnished with banquettes and a couch, will be a "comfortable and functional" space that suits the fast-casual, order-at-the counter crêperie, founder-owner Benjy Adler said. "All the years doing this, we keep sanding this with finer sandpaper," he added. "The Quechee format is what we want to do going forward." That "format," Adler explained, is a 1,500- to 2,000-square-foot space with a coffeehouse atmosphere that offers crêpes and coffee in the morning and crêpes, burgers and more, plus local beer and spirits, into the night. 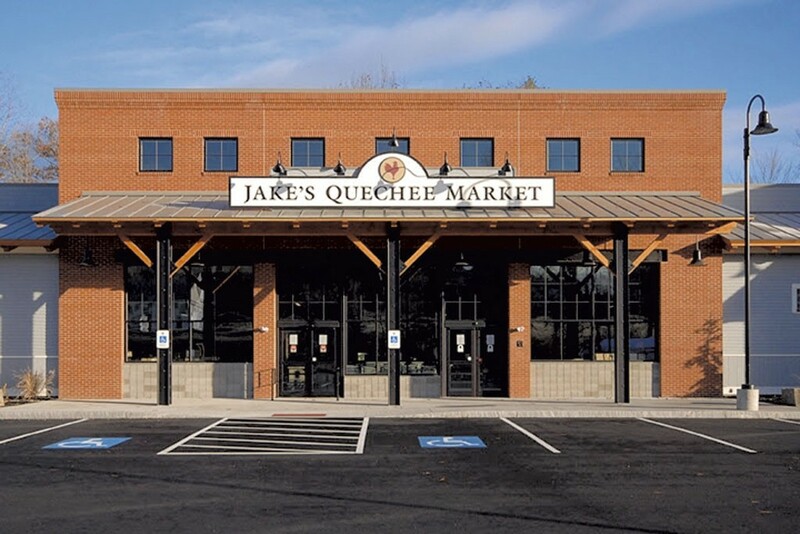 "This particular space happens to have wonderful light and a wonderful neighbor," Adler said, referring to Jake's Quechee Market, a family-owned grocery store that opened in 2013. "I was interested in partnering with an experienced restaurant operator," said James Kerrigan, general manager of Jake's, who previously operated a café in the space that Skinny will occupy. "Up to this point, we have been trying to run a café within our store, and it was difficult to do both at the same time," Kerrigan said. 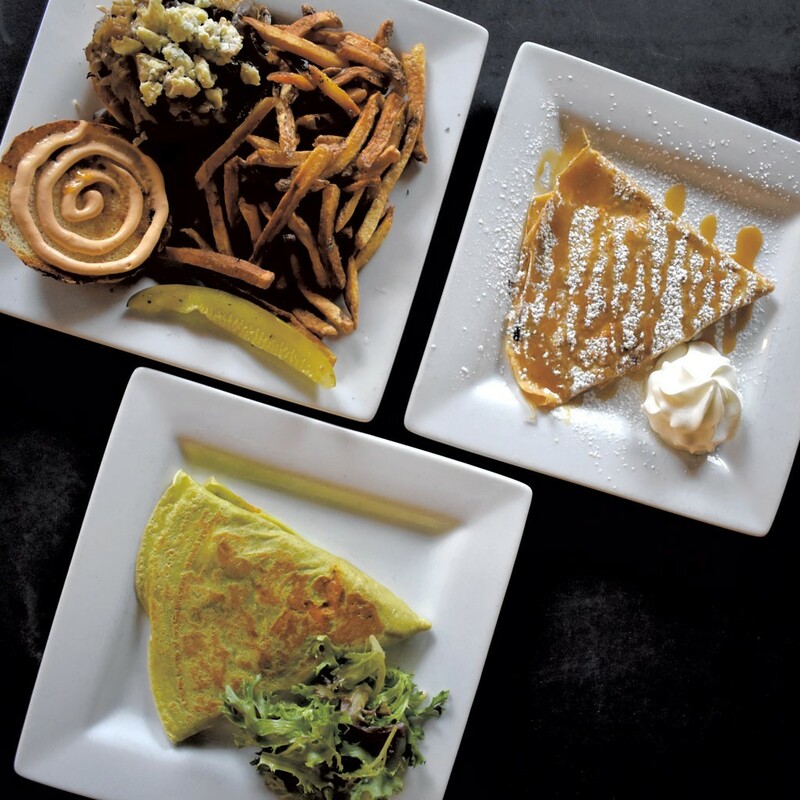 "Our vision is to separate those two: to have Skinny Pancake run an awesome restaurant and have Jake's focus on the retail and deli side of the business." From its start as a food cart on Burlington's Church Street Marketplace in 2003, the Skinny Pancake has expanded to numerous Vermont locations, including the airport and three seasonal sites, and a 4,000-square-foot restaurant in Hanover, N.H. The business also encompasses the Chubby Muffin in Burlington's Old North End. "If we want to continue our mission, we need to continue to grow our business responsibly," Adler said. "Every time we buy more local [products], we accomplish our mission." With each new restaurant opened, he believes, the Skinny Pancake furthers its practice of fostering "consumer power on a commercial level." The Quechee restaurant will be open daily starting at 7 a.m. on weekdays and 8 a.m. on weekends. Evening hours will begin with Thursday through Saturday and expand by the summer, Adler said. The original print version of this article was headlined "More Skinny"